Oscar Blanco, 44, is facing two counts of second-degree murder in the fatal shootings of 44-year-old Roxana Llorens and 55-year-old Randall Browning. Officers and rescue crews arrived at the scene outside of the Mobile gas station located near 119th Avenue and 40th Street. 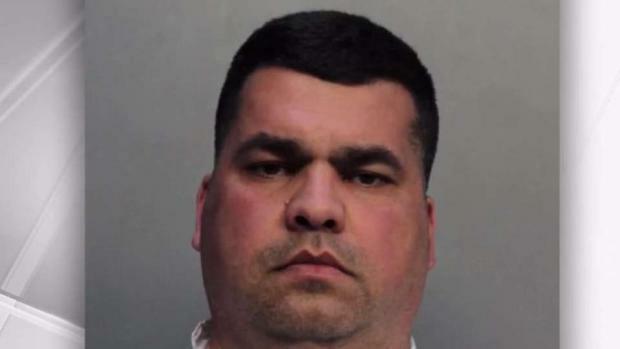 A Hialeah man in an ongoing family dispute with his father's ex-girlfriend allegedly shot and killed her, along with her boyfriend, early Thursday at a gas station in southwest Miami-Dade. 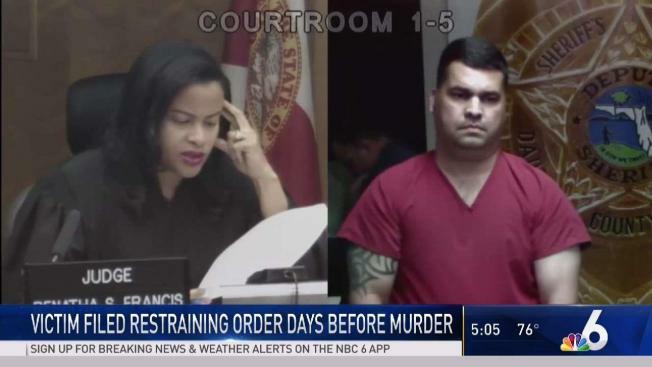 Oscar Blanco, 44, is facing two counts of second-degree murder in the fatal shootings of 44-year-old Roxana Llorens and 55-year-old Randall Browning, both of Homestead, according to Miami-Dade police. Blanco pulled up in his truck next to Browning's white BMW at a Mobile gas station near 119th Avenue and 40th Street and opened fire at the couple sitting inside the vehicle, police said. Police said Blanco walked into the gas station with a rifle and told the clerk to call the police. Sources say Oscar Blanco shot and killed his father's ex, along with another man, as they sat inside a car at a gas station. NBC 6's Laura Rodriguez reports. Detectives said Blanco also told them, "You have everything on video so there is no need for me to talk." Browning died at the scene, and Llorens was transported to the nearby Kendall Regional Medical Center, where she later died. Police said Blanco was arrested at the scene and found the rifle in his truck. 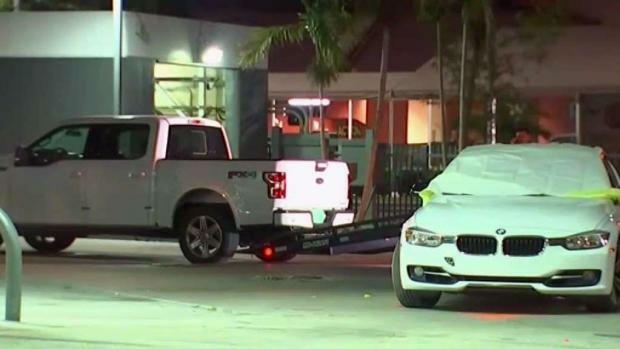 Oscar Blanco was arrested in connection with an early morning shooting that left a couple dead inside a BMW at a gas station in southwest Miami-Dade. NBC 6 anchor Johnny Archer reports. Sources told NBC 6 Lloren was Blanco's father's ex-girlfriend, and they have at two children together. According to court records, Llorens filed a domestic violence injunction on Tuesday against his father. Back in February, Blanco's father also filed a domestic violence injunction against Llorens. He also attempted to get a stalking injunction against Browning, but it was dismissed without a hearing. Blanco is being held in jail without bond, according to court records.